Sterling silver, Turquoise, Lapis, Mojave Turquoise, Oyster Shell, Black and White Inlay. 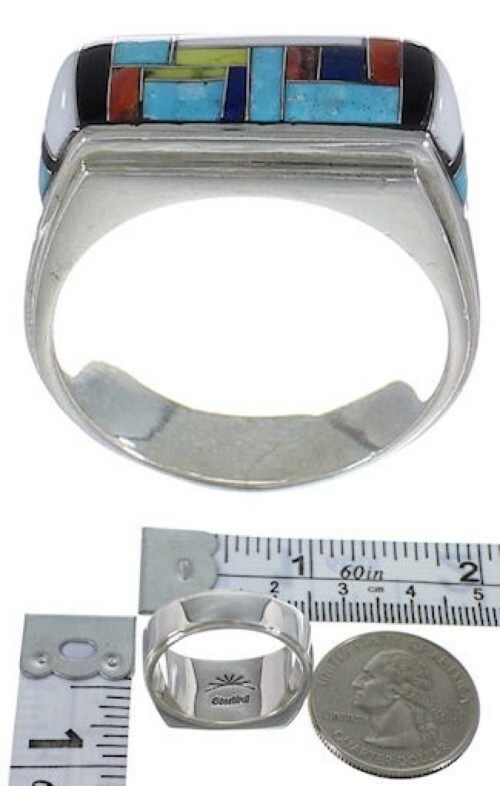 Ring is size 12-1/2, it measures approximately 3/8" long and 7/8" wide. Check out this fantastic ring! 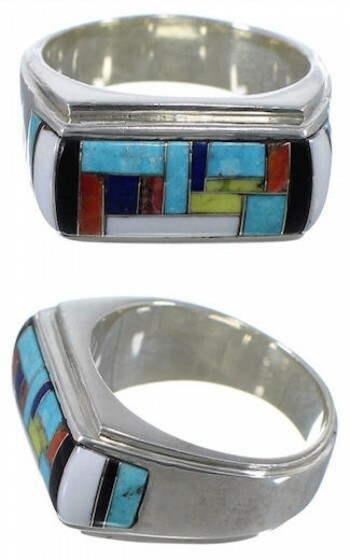 This piece of jewelry is hand made out of genuine sterling silver and multicolor inlay. Real Turquoise, Lapis, Mojave Turquoise, Oyster Shell, along with Black and White inlay are carefully set, while forming a stunning design for a fabulous finish. The ring is stamped sterling and hallmarked.